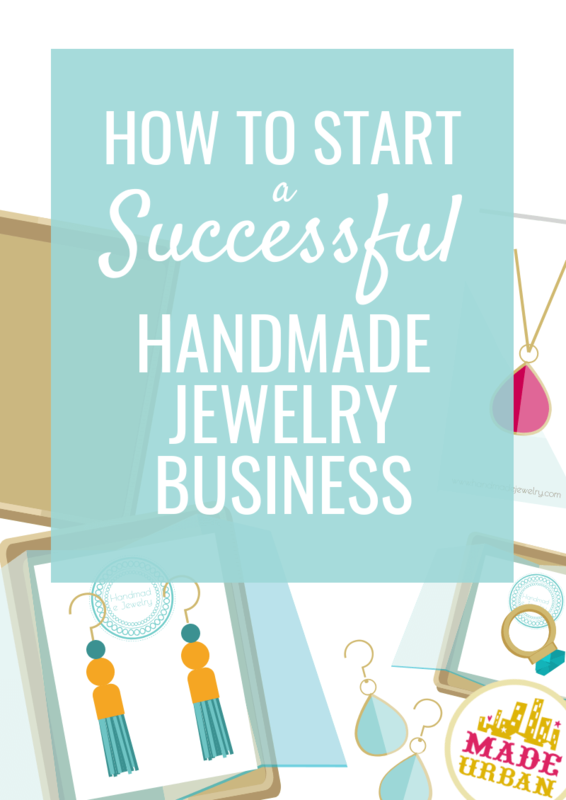 I come across a lot of handmade businesses and love to challenge my ideas and theories to see if they match up with how handmade businesses, aside from mine, have found success. It’s funny because there really are just a few basic business practices that must be in place for success. But business owners, myself included, tend to think it must be more complicated. Of course, lots of little details do add up to big success but in general, the business basics I constantly teach (step-by-step in HOW TO SELL HANDMADE BEYOND FRIENDS & FAMILY) are the foundation success is built on. I won’t go over every business basic in this article but wanted to point out how this handmade business is crushing when it comes to them. So let’s take a closer look at some best business practices and how they’re implemented in a successful handmade business. They’ve consistently been on the top 10 list of top-selling Etsy shops. They’re also doing a lot of things right and inline with the advice I offer through my articles and ebooks. I want to point out the purpose of this article. It’s to celebrate BEST BUSINESS PRACTICES and explain how they can be applied to ANY business. Price or “how much of their product has been handmade” has nothing to do with the principles I’m covering. Someone can price their products for pennies or only sell mass-produced products, not touching a single element of them; that doesn’t mean they’ll find success. There’s a ton of work required, before and after a product is made, to grow a successful business, THAT’S the work this article is focused on. Whether you make every single aspect of your products or purchase pre-made materials and put them together, you can apply the lessons in this article. Every business has varying levels of “handmade”. There are businesses selling signs, but they don’t hand-cut the vinyl lettering or make the wood or surface the letters are applied to. Other businesses sell photos; some develop their own film but most are having machines print their images and are putting them on items they didn’t hand-make or in frames they didn’t build. Others mix a variety of essential oils they’ve purchased and pour them into pre-made bottles and apply labels printed by machines. One business is not better than or more valid than the other because of how much of the end product they actually made with their two hands. Please look for the positives and lessons in this article; and not reasons to discredit the work others are putting out to the world. The create step relates to anything that goes into creating products to sell; designing product lines, production, packaging, etc. The offer very few earrings and other accessories. Everything is metal; either silver, gold, or rose gold. And only a couple pieces incorporate gemstones. Every piece has a modern, minimalistic style and can be personalized, which creates their SIGNATURE STYLE; a must for every handmade business. They add selection and variation by offering different options in their pieces. Another great business practice. It doesn’t appear, based on their social media timelines, that they launch product lines. It could be beneficial to launch lines based on gift-giving holidays (e.g. Christmas, Valentine’s Day, Mother’s Day, etc.) or even just predominantly showcase products appropriate for the holiday, at the top of their shop, in its own section, or on social media. For example, leading up to Mother’s Day, a “Mother’s Day” line of jewelry could be created to offer gift ideas. Or, existing products could simply be renamed to suit the occasion (e.g. “Mother’s Day Charm Necklace”). This could also impact other areas of the business such as marketing (share several Mother’s Day gift ideas on social media in the weeks leading up to Mother’s Day) and selling (create a “Mother’s Day Gifts” shop section, or even multiple sections, e.g. “Mother’s Day Gifts $20 and under”, “Mother’s Day gifts $50 and under, and showcase products appropriate for gifting on Mother’s Day at the top of the shop). If you have an Etsy shop or a website, you know that traffic and sales don’t just happen once you post products for sale. 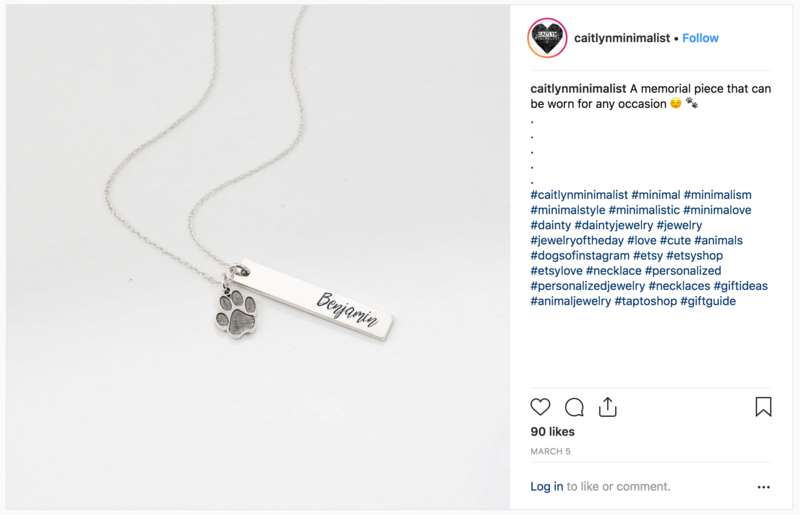 CaitlynMinimalist isn’t listing products on Etsy and waiting for Etsy to bring them customers; they’re doing their part to attract their own traffic. To have a successful business, you must spend a lot of time on step 2; marketing. Marketing channels would be social media platforms, email, search engines, etc. while marketing methods would be sharing videos on Facebook, sending a weekly newsletter through email, paid ads on search engines, etc. They have accounts on several social media platforms but put most of their efforts into Instagram. They currently have 21K people following their Instagram account and they’re doing a great job with their branding. 1. They may benefit from giving more detailed descriptions of how their product may be purchased/gifted/worn and try to evoke emotion in their captions (as explained here: 5 STEPS TO VIRAL SOCIAL MEDIA POSTS FOR YOUR HANDMADE BUSINESS). For example, instead of captioning photos as: “great gift” or “for any occasion” or “for each loved one”, they may be more specific. This necklace is perfect to personalize with the names of each of your siblings and give to mom for Mother’s Day so she can prove; there are no favorites. Dog is a man’s best friend. Keep the memory of your favorite pup close to your heart, wherever you go. It’s the perfect way to shift a mood and put a smile on your face. Each time you adjust the necklace or tuck it under your collar, you’ll feel the imprint of the paw and be reminded of your furry friend. Or it may point out that it’s the perfect gift to show your sympathy when someone you love has lost their furry companion. 2. 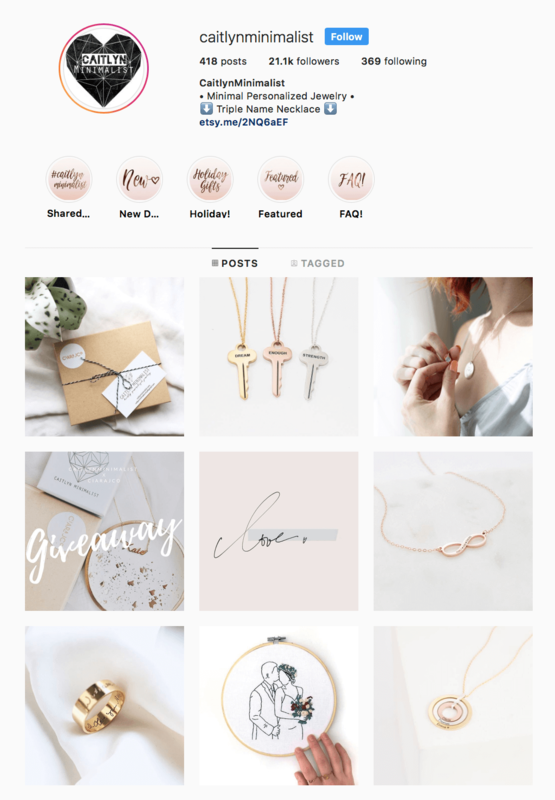 Their Instagram posts sharing personalized jewelry using customers’ handwriting, children’s art, custom written messages, etc. on rings, necklaces or bracelets, consistently get more likes and comments. Posting more of these types of products could help them further carve out their niche, give followers more of what they like, and help them expand their reach. 3. They’re doing an amazing job sharing promotional and non-promotional content (not sure of the difference and why it’s crucial to post a mix on social media? Read this post). They may find they receive more engagement on non-promotional posts if they relate them back to their product. 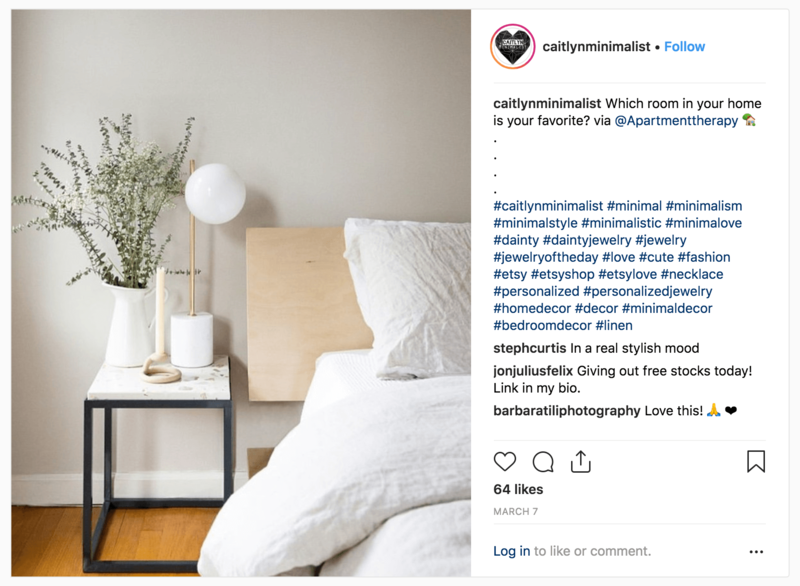 Currently they share inspirational quotes and home décor shots for non-promotional content, which fit their brand esthetically, but not their brand’s purpose (accessorizing with and gifting minimalistic, personalized jewelry). Quotes related to loved ones (e.g. staying in touch, keeping memories alive, making them feel special, etc.). For example, post the quote: “Life doesn’t come with a manual, it comes with a Mother”. The image of the quote would add variety to their feed but still connect back to their products. The caption may point out their best selling product commonly purchased as a gift for mom. Instead of this type of non-promotional Instagram post, they may share a beautiful minimalistic photo of jewelry storage. Based on search results, it looks like they’ve marketed through product giveaways to influencers (e.g. gifting a product to a blogger in exchange for a feature). Their products make such great gifts, they may find it helpful to reach out to wedding bloggers or magazines, or try to make it onto “best gifts for _________ (dad, mom, Christmas, etc. )” lists that influential bloggers create. Some of their items do appear on Google in the form of sponsored posts when you search keywords related to their products (e.g. “handwriting necklace”, “caitlynminimalist”, etc.). 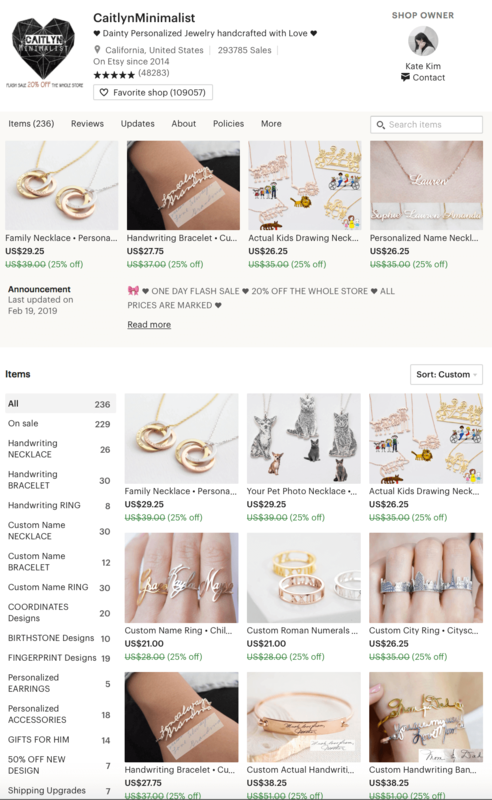 Etsy does invest in Google Shopping ads on behalf of their sellers, and they also allow sellers to promote their own listings through Google Shopping Ads, so it’s unclear whether Etsy or CaitlynMinimalist paid for the ads. They also pay to promote their listings so they appear at the top of Etsy’s search results. This is a result of their clever work to ensure their product listings use the keywords people are searching. They’ve even created shop sections using those keywords. For example, they have a “Handwriting Bracelet” section, as well as several listings using “handwriting” and “bracelet”. 1. They may consider always featuring their “city ring”, “handwriting bracelet”, and “name necklace” at the top of their shop, since those are most commonly searched. 2. They may also consider having a website, in addition to their Etsy shop, since several people search “Caitlyn minimalist website”. This can be beneficial for improving SEO (i.e. how often and where their brand shows up in Google searches, without the use of paid ads). They may be looking for more information on the business. 3. I don’t see a newsletter for CaitlynMinimalist, and this would be such a great way to stay in touch with the 200,000+ customers they already have. Gift-giving holidays would be a good time to send promotional emails, sharing personalized gift ideas, or inspiration for purchases (e.g. sharing their favorite way a product was customized for a gift, or their favorite quote or message request). It only takes 10 minutes to start a newsletter, for free (following the steps here) and here are 5 great ideas for what to send to subscribers to make a sale today. The sell step refers to where you sell your products (sales channels) and how you sell them (sales methods). It seems CaitlynMinimalist may have had a website at one time, but now it redirects to their Etsy shop. It also appears they started a shop with Amazon. Based on rough calculations provided by each platform, Etsy seems to be the better sales channel. As far as I can tell, they only sell online, directly to the consumer. It would be hard to sell their products wholesale to retailers and require a new, non-customizable line of products. Probably not worth the effort. They could sell at craft shows (using these techniques for selling customized pieces at events) however, I think they’ve made a smart decision to focus completely online. It’s what works for their business model and allows them to gain lots of momentum online, instead of trying to do too many things and getting little momentum on each platform. They often run flash sales, marking everything down by a certain percent. This is an effective method, especially with the “sale” features Etsy has. They have a sale countdown showing on each listing, which creates urgency. You’re also able to add sale details to appear before the product description, which helps catch the buyer’s attention. They have great product reviews, most mentioning positive aspects of the quality of their product and their customer service. Customers also love how easy it is for them to further customize the already customizable pieces. It sounds like the seller makes it very easy for the buyer to incorporate their ideas. Most reviewers were very happy with the shipping times but the very few reviews that gave less than 5 stars were usually due to longer shipping times. That’s typically out of the seller’s control but there could be an opportunity to add a “contact us with any shipping questions or issues” in the notes to buyer if that’s the most common inquiry/complaint they receive. They could even offer a discount code to customers who had to wait longer than expected, which may help avoid any negative reviews due to shipping. Their descriptions are very thorough and you can find everything you need to know. They start with a brief description that explains the benefit (e.g. perfect gift). I also like how they have a “WHY YOU’LL LOVE IT” section on many of their descriptions; it clearly tells buyers what’s in it for them. There may be an opportunity to be more unique with each product description (which helps with SEO), and paint a detailed picture of who the shopper might buy the product for as a gift, offer quote or word ideas customers might customize the necklace, ring, or bracelet with, etc. For example, instead of “makes the perfect gift” they could describe who the product is typically gifted to. 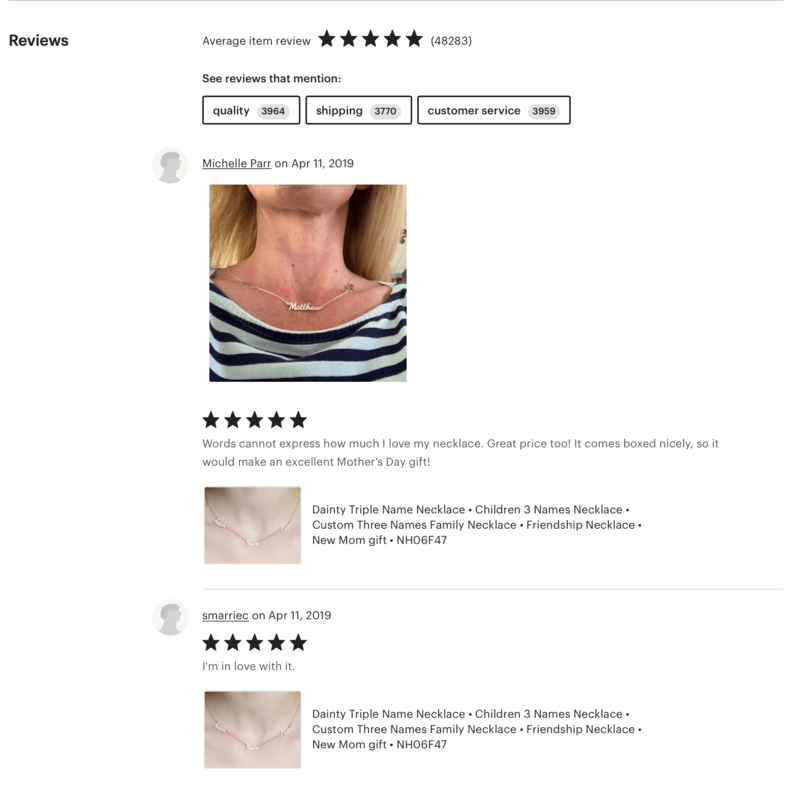 Many people also comment in the review section that they purchased their item as a gift, so product titles, shop sections, descriptions, tagline, etc. could implement “gift” and other related keywords. All photos are bright, minimalistic, and modern. They give a clear indication of product size by showing pieces worn on the body, which lets the shopper know exactly what to expect. This helps with getting high ratings and repeat customers (customers are unlikely to buy again if the product is much smaller than they expected). As suggested under SEO, it may be beneficial to showcase images of their most popular items (handwritten bracelets & rings, city ring, etc.) at the top of their shop. Because many of their products make good gifts, there are great opportunities to upsell. Based on the reviews, many customers purchase one item as a gift for mom, best friend, spouse, etc. and a matching one for themselves. Or multiple items for each member of the family. They may find it beneficial to bundle items together that are commonly purchased in multiples. For example, a listing may be created for two customizable rings, which are commonly purchased by couples. Or 2 necklaces that are commonly purchased by best friends or mother and daughter. There are some other ideas to make your products more gift-giving worthy, in this article. See if there’s an opportunity to refine your line. 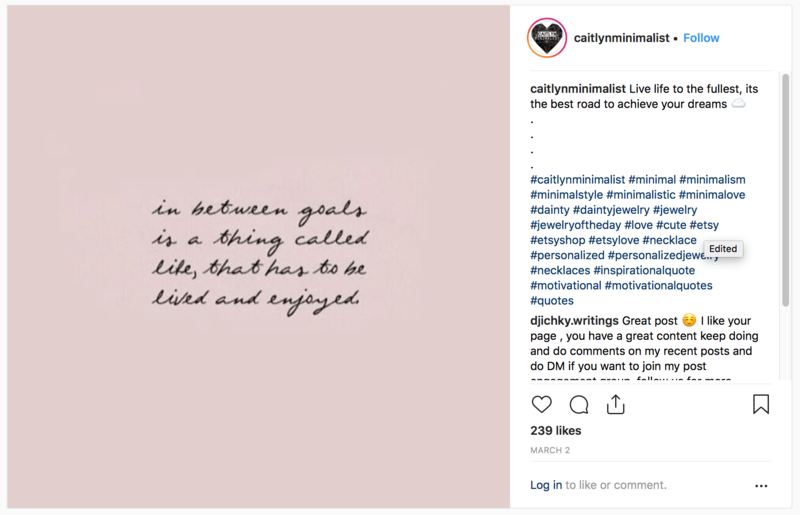 CaitlynMinimalist is a great example of how limiting what you offer doesn’t mean you have to limit your creativity or that you’ll have a lack of products to sell. Consider if you can run a giveaway to help grow your following and expand your reach. Be sure to follow rules when it comes to contests, giveaways and draws and what you can and cannot do on each social media platform. Let CaitlynMinimalist also be proof that you don’t need to do it all. Most of their effort goes towards growing their Instagram account, which is likely the main driver of traffic to their Etsy shop. 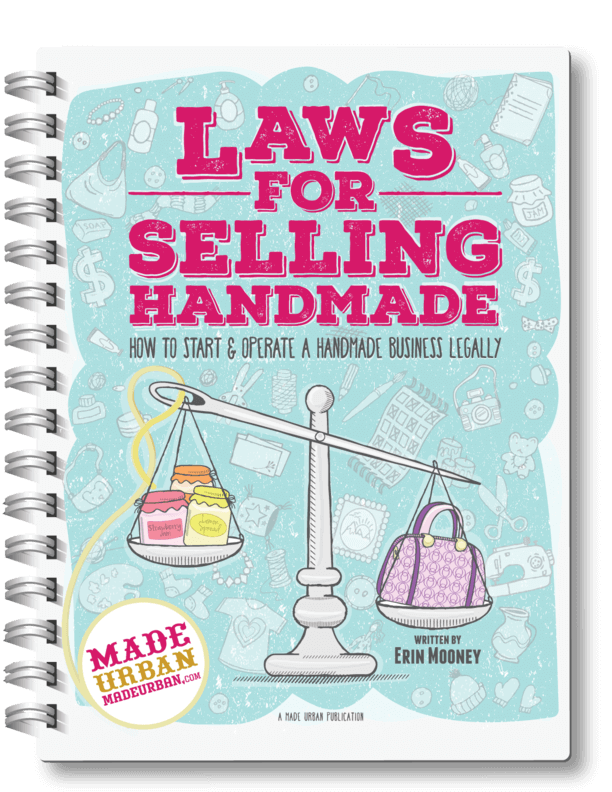 If the concept of breaking your business into 3 steps (create, market, sell) was helpful, you’ll find more tasks that fall under each section, ways to organize them, and how to create a system for your handmade business in THE SUCCESS PLANNER. Share in the comments…which best business practices will apply to your business? Thanks for this post. You have an outstanding blog and are so generous with your recommendations. Thanks! Thank you so much for reading! I’m so happy you found it helpful. Beautiful jewelry by the way! I hate to be a pessimist, but I really must call you out on this one. While this “Caitlyn” does have a good idea these products are not Handmade, they are made by machine, and therefore should not be in any handmade category. Looking at her sales on Etsy she would have to make 162 pieces a day by hand since 2014 … I don’t think so ! Being a handmade jeweler myself, I fully know the amount of time it takes to make a single piece. It would be impossible to saw and pierce all these 162 items in one day and do all the inscriptions by hand … unless she is a robot. A simple reminder … handmade literally means “not made by machine”. We must also ask the question are these products really made in the States or is it China? The prices are simply too low, how else could she afford to pay her employees a decent wage and make money ? There are also some complaints that the rose gold is wearing off her jewellery, that is a red flag as well. No need to “call me out” as I didn’t write this article to debate how “handmade” her business is or to define what can and cannot fit under the handmade category. A photographer uses a device to take photos with the click of a button, machines to print those images, and machine-made frames to display them. Many people selling cards use computers and programs to create images and machines to print them onto pre-folded cards. Someone selling pillows is using a machine to sew two squares of machine-made fabric together and place a machine-made pillow into. It doesn’t mean they don’t belong at craft shows or on Etsy, that they don’t take “pride in their work”, that their products are “fake”, or that they’re overshadowing businesses that develop their own film, hand-draw images on paper they hand fold into a card, or stitch fabric together by hand. There’s room for each type of business, even if a machine was used to help bring their creativity to life. The handmade category is no longer exclusive to products that are made by hand from start to finish. At the end of the day, the consumer decides what’s worth paying for. Regardless of the difference opinions on what handmade is, this article is pointing out the work that happens outside of the craft room to build a successful business (planning product lines, buying materials, taking photos, posting to social media, sending newsletters, writing descriptions, packaging orders, etc.). And yes, she is absolutely doing something right, and that something can be applied to ANY type of business, regardless of how “handmade” it is. There’s room to celebrate everyone’s success and learn from each other. That is the purpose of this article. Agree Etsy changed perception of handmade and it’s trickled down to pop up markets and shows everywhere. Companies like this don’t overshadow, but they do completely devalue by bringing cheap reference prices for jewelry to the (previously known as handmade only) marketplace. Our buyers are out there, they just don’t shop at Etsy or your typical show anymore. I imagine portrait painters felt the same when the camera rose to prominence. We are facing the same thing here: now is the time to look at what we are investing our skills in. It might look like coming up with designs that CANNOT easily be replicated by machine or cheap things like resin (I am an enameler) and going for the luxury market. It might look like setting up new experiences for aspiring jewelers. It might even look like an entirely new product that uses what our hands know. The same principles apply for running this business, it’s just not as easy as listing on Etsy and knowing the buyers are there anymore It’s posting videos of behind the scenes, it’s changing the words to position ‘hands on’ as a luxury buyers only market. Thank you Erin. Generous, concise yet so much useful info and easy reading. Like a mini-version of you books. Have been following your posts and find myself noticing when I incorporate a bit more of your wise advice: things feel more coherent for me and add to my clients’ experience.